Hollywood stunt director Kenny Gates has been roped in to give the action scenes of Sahoo an international feel. Are you a fan of the dashing and macho heartthrob Prabhas? It yes then get ready to rejoice as we have some awesome news in store for you. According a leading daily, his eagerly-awaited ‘Sahoo’ will not be a sci-fi thriller. On the contrary, it will be an action-packed entertainer that will feature some gripping stunts. Moreover, in an exciting development, the film’s team has roped in Hollywood stunt director Kenny Gates to work on the action scenes and give them an international feel. The good news, however, does not end there. Prabhas has put in a lot of effort and worked on his look. His new avatar is bound to be a treat for his fans. Well, we hope that these efforts pay off and ‘Sahoo’ proves to be a big hit at the BO. In case you did not know, ‘Sahoo’ is Prabhas’ next big project after the highly successful ‘Baahubali 2’ and will hit screens in 2018. The film’s female lead hasn’t be finalised yet. Sometime ago, Anushka Shetty had been roped in for ‘Sahoo’. However, she opted out because of date issues. Interestingly, Bollywood star Neil Nitin Mukesh will making his Tollywood debut with ‘Sahoo’. He will be essaying a negative role in this one. Sometime ago, he had revealed that he will be playing a mega villain in ‘Sahoo’. 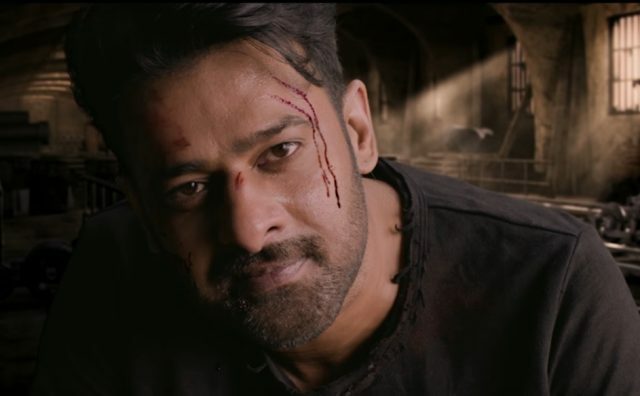 “This is a larger-than-life film and, post Baahubali, the entire nation is rooting for Prabhas. And where there is a mega hero, there will always be a mega villain too. My character has many shades like every other character in the film,” he had added. So, do you feel ‘Sahoo’ will work at the ticket window? Comments, please!